Kerry Boyle M.S., L.Ac., Dipl. Ac. 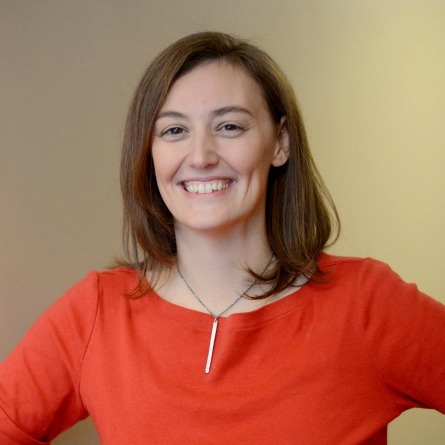 Kerry Boyle is an acupuncturist in Vermont, nationally board certified in Acupuncture and has earned a Masters of Science degree in Acupuncture (MSA) and title of Licensed Acupuncturist (L.Ac) in the states of Vermont and Washington. Her training from a leading provider of natural medicine, Bastyr University in Seatttle WA, allowed her to sit for national board exams and obtain the title Diplomate in Acupuncture (Dipl. Ac.) by the national accrediting board, NCCAOM. She is also certified by CCAOM, Council of Colleges of Acupuncture and Oriental Medicine, in Clean Needle Technique. Kerry chose Bastyr University due to its rigorous training in both Chinese medicine and Western medicine. This approach allows for the integration of acupuncture within a western clinical setting and ease of collaboration with a team of providers. During her training, Kerry completed rotations at various community care sites which allowed for detailed training using acupuncture as a complementary therapy for complex conditions such as cancer, HIV/AIDS, and chronic fatigue. Kerry completed additional, post-graduate internships in London, UK with senior acupuncturist Jani White LAc and at Plymouth Hospital in Devon, England with renown fertility specialist and midwife Sarah Budd, L.Ac. She also completed rotations at Lincoln Recovery Center in the Bronx, NY working with acupuncture for detoxification and management of addictions. Kerry practiced acupuncture on board cruise ships world wide for three years, treating pain management and introducing tens of thousands of guests to acupuncture, later implementing the acupuncture and herbal program on board over 40 ships with industry leader Steiner Leisure LLC. Kerry has worked in diverse health care settings such as rehab clinics, pain management clinics, spas and hospitals and has witnessed the effectiveness of integrated medicine. Kerry has been licensed as a massage therapist (L.M.T.) prior to her acupuncture training and continues to integrate massage techniques when necessary with her acupuncture treatments. She also enjoys lecturing about acupuncture and has had the opportunity to speak at a variety of engagements throughout the world. Her passion for yoga led her to complete yoga teacher training with Yoga Vermont in 2018. She also pursues complementary training in essential oils, flower essences, and homeopathic medicine. Kerry first moved to Vermont at age 18 and fell in love with the natural beauty of the state and its kind hearted people. After living here for years and frequent returns for visits during school breaks, she chose to raise her family in central Vermont and contribute to its vibrant community via the art of acupuncture.